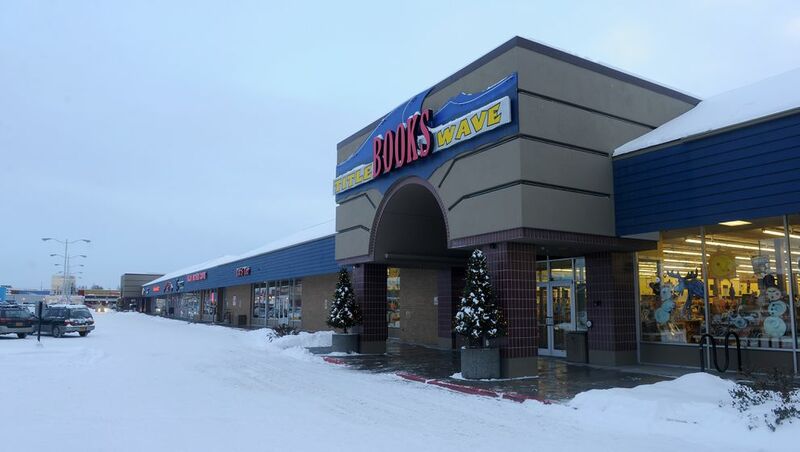 Title Wave Books, the popular Anchorage bookseller in the heart of Spenard, is in the midst of an ownership change and deciding whether it should stay at its current spot or find a new home when its lease is up at the end of April. Husband-and-wife team Julie Drake and Steve Lloyd are in the process of selling the store — one of the larger tenants at the busy Northern Lights Center strip mall — to general manager and longtime employee Angela Libal. They cite a change in the property's ownership a decade ago as one reason they're looking for real estate elsewhere. Former Gov. Wally Hickel developed the shopping center around 1960, and Hickel Investment Co. owned it until June 2006, according to Anchorage Daily News archives. That's when two companies bought it. Another reason, they say, is the rising rent. "When we moved into that mall (in 2002) … it had a bad reputation," Drake said. "Since then, with us and REI moving in, we revitalized it and the rents went up. Now, we're getting kind of kicked by that because our rent was doable for selling books, which are not high-ticket items, and especially used books. And also, the mall has changed ownership." Drake and Lloyd no longer live in Alaska — they relocated to Washington state in August because of how expensive health insurance in Alaska is anticipated to be next year, Drake said. Two firms, Mush Inn Corp. and Yoo Jin Management Co. Ltd., are equal owners of the strip mall property, according to city records. State business records show the same officials are listed at each company. Directors there could not be reached for comment. Renee Burk, building manager for the strip mall, declined to comment for this story. Libal said that the new landlords are just one change she's seen in the nearly 15 years the bookstore has been at the current location, its third in Anchorage. "It's a hip and happening place," she said of the Northern Lights Center, which houses a coffee shop, popular restaurants and an Alaska Club gym at its west end, in addition to outdoor gear retailer REI to the east. "If you think about it, 15 years ago Spenard was kind of a scary place. Any landlord would think about that (raising the rent), because the building changed ownership. It's no longer owned by friendly Wally Hickel. … They have maybe different goals in mind." Neither she nor the current bookstore owners would say how much of a rent increase the store is facing if they sign a new lease to stay at the current location, out of concern that it would affect negotiations with the landlords. "It would be great if we could stay, but it's important for us to be in a place where we are viable and not overextending ourselves," Libal said. Real estate agent Matt Fink is working with Libal to scope out potential new locations. He said that the list of sites they're looking at includes the old Carrs-Safeway location at The Mall at Sears, a space at the University Center where Natural Pantry used to be located, a spot near Benson Boulevard and Denali Street, or even — in what Fink said might be a long shot — the old La Mex restaurant building on Spenard Road. "It would be Midtown," Fink said. "There's only two or three locations in Midtown that are even open. We're looking at all options." And if Title Wave stays put, Libal said, "we'd like to condense the size." Right now, the store takes up about 33,000 square feet at the strip mall. Years ago, the store was designed to sell new books and gifts along with used books but now focuses on just the latter. "We would just make it a little smaller so it could accommodate our core business model, which is used books," she said. Title Wave opened in 1991 at 505 E. Northern Lights Blvd. Then it moved to 1068 W. Fireweed Lane, where McKay's Hardware used to be, in 1996 before relocating again in 2002 to its current spot. Libal wasn't sure exactly how much the store would shrink if a downsizing happens. "We don't plan to make big sweeping changes, because Title Wave is Title Wave," she said. "We're just tweaking it to make it a Title Wave for the next 25 years." There will still be a store credit system under Libal's ownership, but she said keeping existing credit intact is "a debt that I can't afford in the purchase." Customers' store credit at the shop will expire on March 15. Drake said she hopes the sale of the shop to Libal closes around the time the lease is up. Title Wave's possible relocation might not be the only change in the mall's not-so-distant future. 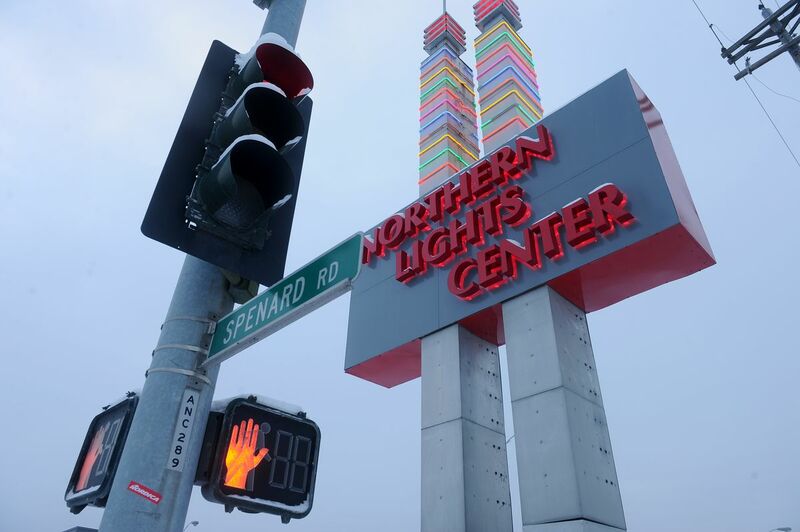 Another tenant at the Northern Lights Center and people who work with the Sears mall and in real estate in Anchorage have also heard REI might be leaving its current location anchoring the east end of the Spenard strip mall. "It's been common knowledge in town" that the retailer might be looking around for a new spot, said Leonard Hyde, president of real estate development firm JL Properties Inc. "I'm familiar with the fact that they have been looking around for the past year or two." The departure of two of the largest businesses there would dramatically change the face of one of Anchorage's trendiest shopping and dining spots. But REI isn't saying much about its plans. "All options are on the table," said Mike Herzog, store manager for the REI in Anchorage. "We don't know what we're looking at at this point in time. … Could be staying, going, could be a new store, we don't know. … Whenever our lease comes around for review, we always look, and that's where all the rumors are coming from." Bethany Hawley, communications manager for REI in the Seattle area, also wouldn't give much in the way of details. "We can't comment on specifics until we've made a final decision and a lease is signed," she said in an email. Both changes would be huge for other tenants at the strip mall. "It's not good for our business, not good for the mall community," if those two businesses leave, said Jon Campabello, who owns restaurants Middle Way Cafe and Hearth in the shopping center. "Those are two high-quality merchants who provide quality services and attract a clientele that we also attract. It's a very synergistic group of businesses here at the mall. It's a big negative (if they go). And it's a big unknown."